There is one play that is so rare, so unusual, that it has only been successful on five occasions in almost 15,000 NFL games played since the league’s inception in 1920. And only once has it changed the outcome of a game. For the laymen out there (like me), it means that the ball can be placed at the spot of the fair catch and, just like a kickoff in windy conditions, is held by a placeholder (so there is no snap). The rest of the offense lines up even with the kicker and cannot pass scrimmage until the ball is kicked. The defensive team must be at least ten yards from scrimmage and cannot rush until the ball is kicked, therefore no effective block attempt can be made. There are a myriad of reasons as to why this doesn’t happen more often, the most obvious being that a fair catch must be made within field goal range. This must also happen with minimal time left on the clock, otherwise the offense will most likely take a few snaps in an attempt to advance the ball or score a touchdown. In 1968, the Chicago Bears travelled to Lambeau Field to play their biggest rivals, the Green Bay Packers. The Bears got a career day out of future Hall of Fame running back Gales Sayers as he set the club record for rushing yards in a game (205 yards on only 24 carries), but due to ineffective quarterback play (Virgil Carter, who began the season as the 4th string QB, was 5 for 14 for an anemic 51 yards) and an untimely mistake (a Sayers fumble halfway through the fourth quarter), the game was tied 10-10 late in the game. Bears assistant coach Abe Gibron approached head coach Jim Dooley with the idea. With the Packers inside their own 20-yard line and preparing to punt, Gibron said, “Let’s get the fair catch when they punt so we can go for the free kick.” Even though there was still more than thirty seconds left on the clock, the recent Sayers fumble and the fact that the Packers had blocked the previous Bears field goal attempt made this outlandish idea a plausible one. And probably the best option to leave Green Bay with a W.
With 26 seconds left on the clock, Mac Percival, a straight-on style kicker, went out onto the field to attempt the game winning 43-yard free kick (at the time, the goal posts were still situated at the front of the end-zone). 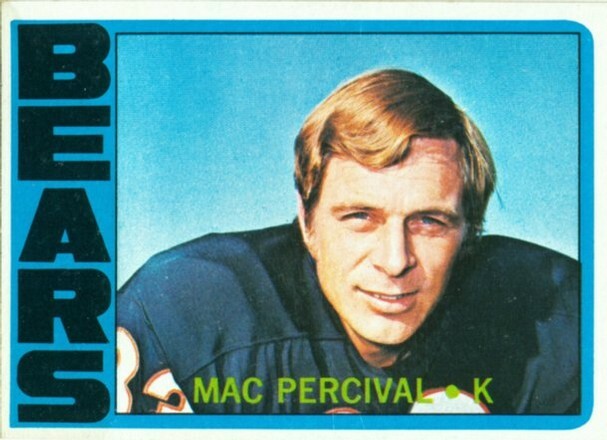 Mac Percival is the only kicker in NFL history to kick a game-winning fair catch free kick. “Well, we had no idea what (Coach Dooley) was talking about. In fact he had to tell us, ‘Well, you line up like you’re going to do a kickoff.’ Then Richie Petitbon had his leg out like he always does to hold it. An official came up and said: ‘No, you’re offsides. Pull your leg back so you won’t be offsides when you hold the ball.’ Then they told me to try to kick it, which was fairly easy because there was no rush and no hurry. It was kind of like just being out at practice. It was quite exciting,” Percival stated. 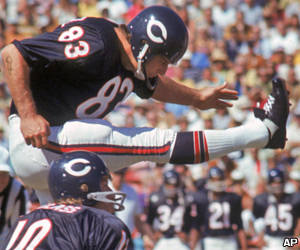 Percival nailed the 43-yarder, and the Bears stole a 13-10 victory. 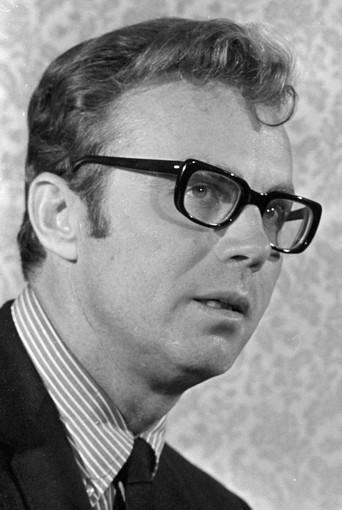 The last successful fair catch kick happened in 1976 when Ray Wersching made a 45-yard free kick field goal for the Chargers, although it had no effect on the outcome of the game (the kick occurred at the end of the first half of play). The last six attempts, all unsuccessful, have all come at the end of the first half and have all been attempts of at least 58 yards (73, 61, 60, 58, 68, and 69 yards respectively). “People are still unaware of that rule, they just don’t know about that,” Percival said.